This morning I will begin by sharing with you some of the perplexities that come at times upon pastors as they prepare a sermon for the next Sunday morning. I usually plan what I am going to preach several months in advance. While that takes some work, it is usually not very difficult because I usually preach expositionally through Biblical books. I carefully examine the book for the sequential primary points of its author, and then further subdivide it into sections that I can reasonably preach through in a single sermon. In the current Life of Christ sermon series, I am essentially doing the same thing, though it requires me to first examine all four gospels and arranging their texts chronologically. As I put my preaching calendar together, I also take into consideration holidays such as Christmas and Resurrection Sunday and cultural events such as Mother’s Day and Father’s Day and schedule in a sermon appropriate for that occasion. There are also times when I feel led of the Lord to expand on a topic that was brought up in a text or by a particular need that arises within our own church family. An example of that was the series of sermons earlier this year on worship. More difficult are the times when a conflict arises in my planning because there are several things that could or should be addressed as well as my own desire to continue in the scheduled exposition already planned. Such has been the case for me this week. If I continued today in the text from where we ended last week, I would be speaking on death and taxes from Matthew 17:21-27, but somehow that does not seem appropriate on a day that our church leaders set aside to have a BBQ lunch in celebration of my completing 25 years of ministry here at Grace Bible Church. It would seem more appropriate to speak about something related to that. (By the way, Diane and I want to express again how grateful we are for your generous gift to us. It is my current plan to go to Israel either next Spring when it is the most beautiful there, or with my Alma Mater on a study tour). Then I had our church leaders ask me to also address a particular subject in preparation for an announcement they will be making at the end of our service today. That can be a bit of dilemma even for someone with more than a quarter of a century of experience. What is a preacher to do? While the answer is not easy, it is still found in the most simple principle that applies to every Christian every moment of every day. Whether simple or complex, mundane or extraordinary, we are to do everything for the glory of God for the Lord Jesus Christ is our life and salvation. That is why I view myself as simply His slave and my quest is to become more like Him and help others do the same. With that in mind, this morning I am going to give an overview of the Biblical responsibilities given to pastors including one of the more difficult duties. One of the difficulties in being a pastor are the expectations people place upon you. Sometimes those expectations are understandable because the particular gifts and manner of a previous pastor made them seem normal or they are typical stereotypes learned from others. Other times those expectations are unreasonable and can approach the bizarre. Over the years I have learned to deal with both. Here are some of the ones that have stuck in my mind. First was the lady who said soon after we arrived here, “Now we have someone that will take care of us.” I should have taken that as a warning, for that family left the church within a year because I was not handling administration the way they thought best. Another family left the church after the man’s father died with the funeral in another state at a time and location of which I was uninformed. We sent our condolences, but that was not enough, and I never saw him again. Another family got mad when I failed to make a hospital visit. I admit that there are times when I find it difficult to get up to the hospital to visit, but it does help a lot if I am actually informed that the person is in the hospital. In a similar situation, there was man who had heart surgery. Diane and I went up to Albany to see him at the hospital on our date night. His family left because I did not later visit him at his home though I was not invited nor was it expressed to me that he would like a visit. Then there are those that became upset because I did not respond as a wealthy charity freely dispensing money according to their claimed need or what they thought someone else needed. Little did they know that the church leaders here gave me some restrictions on that many years ago because I was so often an easy mark for a sob-story. There have been those that have left because they thought someone else treated them badly and I did not correct the situation to their satisfaction – as if there are not two sides to every story and sometimes the offended party simply needs to grow up and mature and learn to be more patient, longsuffering, merciful and gracious. I had one fellow tell me that he was offended that I wear a tie on Sunday’s because it made him feel obligated to wear one and he did not want to do so. Then there was the time I had several families upset with me because my preaching was above the understanding of their children. They liked it even less when I said I would do what I could to help, but it was my responsibility to teach them and it was their responsibility to teach their children. I have many more such stories, as do most pastors, but by far, the most common unreasonable and ungodly expectation people seem to have of pastors is that they will tickle their ears (2 Timothy 4:3). It seems that more and more people want their pastor to tell them what they want to hear and put together a worship service that meets their emotional desires. I spent several months dealing with these issues earlier this year in the sermon series on worship. The Scriptures charge pastors with several priorities of ministry which will then be carried out according to the particular way God has gifted each man. That means that while the key priorities are the same for all pastors, how they will be carried out and even the amount of time devoted to each will vary from man to man. Let me quickly point these out to you. First, Ephesians 4:11-13 sets the key priority of responsibility. “11 And He gave some as apostles, and some as prophets, and some as evangelists, and some as pastors and teachers, 12 for the equipping of the saints for the work of service, to the building up of the body of Christ;” 13 until we all attain to the unity of the faith, and of the knowledge of the Son of God, to a mature man, to the measure of the stature which belongs to the fullness of Christ.” The passage continues on to explain the importance and result of each member of the body becoming mature, for it takes every member of the body working together for the whole body to function properly. The key priority of responsibility for every pastor is equipping or training other believers to perform ministry. In other words, it is not the pastor’s responsibility to do all the various aspects of ministry that occur within a church. It is his responsibility to train people to do ministry. If the church functions according to God’s design, the people of the church will end up carrying out those various ministries more effectively than he could even if he had the time. 1 Peter 5:1-3 sets the priority of attitude of every pastor as they carry out their God given responsibilities. “1 Therefore, I exhort the elders among you, as your fellow elder and witness of the sufferings of Christ, and a partaker also of the glory that is to be revealed, 2 shepherd the flock of God among you, exercising oversight not under compulsion, but voluntarily, according to the will of God; and not for sordid gain, but with eagerness; 3 nor yet as lording it over those allotted to your charge, but proving to be examples to the flock.” The passage continues on to speak about the importance of humility for all believers. Pastors need to be humble men who are set on serving God by serving His people for the glory of God and their benefit. A pastor is to live a life that is an example of godliness to the rest of the church. 2 Peter 2 gives strong warning about those who use pastoral positions for their own benefit. A clear mark of a false teacher is their pride and exploitation of their flock for personal gain. Peter states that a priority of obligation for an elder is to “shepherd the flock of God among you.” The term “pastor” is simply derived from the Latin term for shepherd. The primary responsibilities of any shepherd are to direct and protect his flock. A good shepherd leads his flock to food and water. According to Paul’s instructions to Timothy, a pastor does this by preaching the word of God with great patience and instruction (2 Timothy 4:2). A good shepherd also corrects sheep that stray. This is also done by preaching the word of God to reprove, rebuke and exhort (2 Timothy 4:2) as a father would his own children (1 Thessalonians 2:11). That “preaching” may be public proclamation or private counseling. It is the word of God that the Holy Spirit uses to transform believers. The other primary obligation of a shepherd is protecting the flock. The warnings to the sheep are part of that, but it also involves dealing with the wolves. Paul warned the Ephesian elders in Acts 20:28-31, 28 “Be on guard for yourselves and for all the flock, among which the Holy Spirit has made you overseers, to shepherd the church of God which He purchased with His own blood. 29 “I know that after my departure savage wolves will come in among you, not sparing the flock; 30 and from among your own selves men will arise, speaking perverse things, to draw away the disciples after them. 31 “Therefore be on the alert, remembering that night and day for a period of three years I did not cease to admonish each one with tears.” I will expand a little later on guarding against such wolves once they are identified. It is important that the people in a congregation do not place expectations upon a pastor that are unbiblical or unreasonable. No man walking this earth has been glorified or has all spiritual gifts. Do not expect him to be able to do all things well. A pastor, like any other person, will have strengths and weaknesses. That is why it is so important to have a plurality of leaders and to encourage everyone in the congregation to humbly use their spiritual gifts in serving in the body. In addition, do not expect him to be sinless no matter how mature he may have grown. What are proper expectations of a pastor? 1 Timothy 3:1-7 and Titus 1:6-9 give us the answer as Paul lists the qualifications for those that would be elders and overseers – both terms that refer to a person who is also called a pastor. The only abilities he must have are a solid knowledge of the word of God so that he can exhort in sound doctrine and refute those who contradict, and be able to teach. Every other requirement listed is a character quality. 1 Timothy 3:1–7 states, 1 It is a trustworthy statement: if any man aspires to the office of overseer, it is a fine work he desires to do. 2 An overseer, then, must be above reproach, the husband of one wife, temperate, prudent, respectable, hospitable, able to teach, 3 not addicted to wine or pugnacious, but gentle, peaceable, free from the love of money. 4 He must be one who manages his own household well, keeping his children under control with all dignity 5 (but if a man does not know how to manage his own household, how will he take care of the church of God? ), 6 and not a new convert, so that he will not become conceited and fall into the condemnation incurred by the devil. 7 And he must have a good reputation with those outside the church, so that he will not fall into reproach and the snare of the devil. Titus 1:5-9 states, 5 For this reason I left you in Crete, that you would set in order what remains and appoint elders in every city as I directed you, 6 namely, if any man is above reproach, the husband of one wife, having children who believe, not accused of dissipation or rebellion. 7 For the overseer must be above reproach as God’s steward, not self-willed, not quick-tempered, not addicted to wine, not pugnacious, not fond of sordid gain, 8 but hospitable, loving what is good, sensible, just, devout, self-controlled, 9 holding fast the faithful word which is in accordance with the teaching, so that he will be able both to exhort in sound doctrine and to refute those who contradict. Note again that these are qualities of godly maturity that should characterize the man and not statements of absolutes, for if they were absolutes, then no man would ever be qualified. For example, not quick-tempered and not pugnacious back up the qualities of being peaceable, reasonable and gentle, but they do not mean he is never angry or argumentative. There may be occasions when he responds much more strongly and with great emotion. Managing a household does not mean everything in it is perfect. It means proper direction is given to keep things from going wrong and correction is given when they do. Being prudent and sensible does not mean the man will never say or do something that later prove to be quite stupid. To be above reproach does not require perfection but only a character that is not subject to accusation and when accused will be proven to be false. At the same time, these qualifications are serious for the only true protection a church has are godly leaders. Churches pay a heavy price when they ignore these qualifications to select as their leaders men who are wealthy, or good in business, or well educated, or popular with people. All those things may be fine, but those are also common qualities of false teachers. It can be even worse when a church truncates the Biblical qualifications to something like they are old enough, been a church member long enough, tithe regularly and are not divorced (common requirements in church constitutions), since they deceive themselves to think the man is therefore also godly. If he does not have a mature godly character, he is not qualified. We believe that having church leaders who meet the Biblical qualifications is necessary so we have written that into our church Constitution a process that carefully vets candidates for office. We have also put in it processes to ensure that only those that remain Biblically qualified continue in positions of leadership. That includes a yearly review and an annual reaffirmation. While there is much joy in serving the Lord as a pastor, there are some responsibilities that can be difficult and other things that can be troublesome. That will vary from pastor to pastor depending on his spiritual gifts and personality. For me, I enjoy Bible study, teaching and encouraging people. I find administration to be difficult though I have worked hard at it and have become at least somewhat competent. I also do not like confrontation, though I have learned to do that too. In a similar way, there are many people that are a great joy to serve alongside, and there others that can be irritating if not painful. It is not that all difficult people try to be that way or even think they are difficult. One pastor wrote a book entitled, “Well Intentioned Dragons,” in which he describes all sorts of people that mean well and may even have hearts of gold, but for various reasons they cause problems and can be difficult to deal with. Everyone has to deal with people that can be difficult, though what constitutes being difficult will also vary from person to person. Certain personalities have an easier time getting long with other particular personalities. What does the Scripture require in dealing with difficult people? Every true Christian is obligated to carry out all the “one another” commands given to us in the Bible. Among them are: be of the same mind, greet, accept, care, serve, build up, be patient, bear with, admonish, confess your sins, live in peace, be kind, hospitable, comfort, encourage, pray for, be humble toward and love. 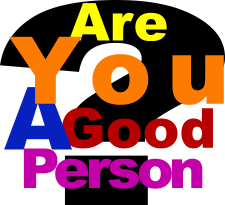 Those are often very different from the behavior of our society which is becoming increasingly selfish and rude. Many courtesies which were once common based on these commands have disappeared and others are quickly fading away as the world becomes more characterized by what we are warned against such as: selfishness, pride, envy, hated, lying, slander, deceit, flattery, hypocrisy, complaining, judging, anger, wrath, malice, abusive speech, immorality, impurity, passion, evil desire and greed. The Christian obligation to other Christians can be summed up from Philippians 2:3-4, 3 “Do nothing from selfishness or empty conceit, but with humility of mind regard one another as more important than yourselves; 4 do not merely look out for your own personal interests, but also for the interests of others.” That will prevent most problems from arising, and when they do, these instructions give the means by which they can be resolved. Aside from all the commands that apply to every Christian, as a pastor, I have a few additional ones. One of my least favorite passages is at the end of 2 Timothy 2. Verse 23 is easy enough to follow, “But refuse foolish and ignorant speculations, knowing that they produce quarrels.” It is verses 24-26 that I don’t like because there are times when people push me to my limit and I don’t feel like following the directions given in them. 24 “The Lord’s bond-servant must not be quarrelsome, but be kind to all, able to teach, patient when wronged, 25 with gentleness correcting those who are in opposition, if perhaps God may grant them repentance leading to the knowledge of the truth, 26 and they may come to their senses and escape from the snare of the devil, having been held captive by him to do his will.” Emotionally, there are times I want to do the opposite. I want to correct without patience and gentleness. But Christians are obligated to submit their will to the Lord’s will, so I take a deep breath and do my best to obey the commands trusting the Lord to take care of the situation and make me more like Christ in the process. As the years have gone by, I still don’t always feel like doing what I must, but it has become easier and I do it more quickly. God is at work. When it comes to difficult people, there has to be a continuing effort to work with them with patience and longsuffering though the particular response will vary depending on the efforts they are making. Immaturity is corrected through teaching them the Bible and training them to apply its truths to their life. As long as the person is making the effort to grow, the usual response will be encouragement. If the person hits a snag and stumbles, there will be a correction and warning along with the encouragement to get back up and keep walking. If the person becomes resistant to the lessons being taught, then the response may escalate to rebuke and admonishment alongside the correction. We are told in 2 Timothy 3:16-17 that this is a purpose of the Scriptures, 16 “All Scripture is inspired by God and profitable for teaching, for reproof, for correction, for training in righteousness; 17so that the man of God may be adequate, equipped for every good work.” We use the Bible to teach people the path of life in walking with Jesus. We also use it to let them know when they have strayed off of it, show them how to get back on it, and how to stay on it. There are also times when someone becomes stubborn when they sin and they refuse the efforts to correct them and get them back on track. The more stubborn they are, the greater the consequences that are brought to bear in the effort to move them to submitting to Christ and following His commandments. Matthew 18:15-17 give the parameters for this process. I will be going over this in detail in the near future, but I want to at least briefly outline it today. The first step is private and is a normal part of any Christian’s life for all of us stumble and we need other Christians to point it out and help us up. This is usually done informally, but it might be a more formal confrontation depending on the seriousness of the sin, its frequency, and the relationship between the two Christians. The goal is to win the erring brother back to a proper walk with Christ. The second step occurs only if the first correction was not heeded. Additional people take part in the confrontation. This is so that the truth can be established and it does not degenerate into a he said, she said controversy. The additional people can also act as mediators for many times the alleged sin turns out to be a conflict of misunderstanding. This step is also something that happens fairly often, though by its nature of having more people involved it is more formal in nature. The third step also only occurs when the person in sin remains stubborn and refuses the correction given. The church is told so that everyone can be praying for the situation and those that know the person can also confront him. The goal to win back the one caught in sin is still present, but a warning to others in the church about falling to that sin has also become important. While reconciliation would still be desired, that is not the purpose of the fourth step. It is a declaration that the person has still refused the correction and is to now to be treated as “a Gentile and tax collector,” which in this context means they would be viewed as someone who is ungodly and far away from the Lord. The evidence is contrary to their previous profession of faith. We call this dis-fellowship because they are placed outside the fellowship of the church. We do not shun them, but we no longer treat them as fellow Christians or friends. Additional motivations come into play once the third step is reached. Reconciliation is still desired and still possible if there is repentance, but warnings to keep others in the church from sin become more important (1 Corinthians 5:2,6-7; Galatians 5:7-10; 2 Timothy 2:14-18). When the fourth step is reached, protection of the church is paramount. Those who are disobedient are identified (Romans 16:17; 2 Thessalonians 3:14) and the unrepentant are removed from the fellowship of the church (Matthew 18:17; 1 Corinthians 5:13; 2 Thessalonians 3:6,14; Titus 3:10-11). This promotes the proper fear of God (Acts 5:13-14). This is certainly one of the more unpleasant responsibilities of a pastor, but it is a requirement of those who would be faithful in Christ’s service. Shepherds are to strive to keep the sheep from straying and be protectors of the flock God has entrusted to them. Elders who will not do that fail in an area of their basic God given responsibilities which may be evidence they are not qualified. Church leaders who do this demonstrate their shepherd’s heart. Parents, you are responsible to apply God’s Word to your children’s lives. Here is some help. Young Children – draw a picture about something you hear during the sermon. Explain your picture(s) to your parents at lunch. Older Children – Do one or more of the following: 1) Write down all the verses mentioned in the sermon and look them up later. 2) Count how many times the word “pastor” is mentioned. Talk with your parents about the role and qualifications of a pastor. Questions to consider in discussing the sermon with others. What effect does living for the glory of God have on your daily activities of life? What expectations do you have of pastors? How do those compare with what the Scriptures require of a pastor? What does Ephesians 4:11-16 teach about the responsibility of a pastor and the congregation? According to 1 Peter 5:1-5, what is the proper attitude of a pastor and the people in a church? What characteristics described in 2 Peter 2 can help you distinguish a false teacher from a proper preacher? What are the responsibilities of a shepherd? How is a pastor to use the word of God in shepherding the flock? What does Paul warn elders about in Acts 20:28-31? Is that still a danger today? What relationship should the duties given to a pastor be to His Biblical responsibilities? Why is it important that the people in a church do not place unbiblical or unreasonable expectations on a pastor? What is the Biblical relationship between an elder, and overseer / bishop and a pastor? According to 1 Timothy 3:1–7 and Titus 1:6-9, what abilities must an elder have? What qualities of godly maturity must he have? Are these qualities absolute or characteristic? Explain. Why is it so important he have these character qualities? What is the danger of using other standards for church leadership? Do you have a difficult time with people that some others can get along with easily? Why might that be? List out as many of the “one another” commands as you can? How well do you obey them? How do they help Christians get along with each other? Why is Philippians 2:3-4 a good summary for proper Christian relationships? Would it be easy for you to fulfill the commands in 2 Timothy 2:23-26? Explain. What are the four steps of church discipline given in Matthew 18:15-17? What causes an escalation to the next step? What can end church discipline at any time? What purpose becomes important along with reconciliation in Step 3? What purposes replace reconciliation in Step 4? What does it mean to treat someone as a Gentile and tax- collector? Church discipline is unpleasant, so why is it necessary for Elders to carry it out on the unrepentant?